A few weeks ago, Jennifer Davis’ supervisor delivered a challenge to her via email: write a story about humorous government document titles for April Fool’s Day. (Read various stories about the origins of April Fool’s Day here, here and here.) 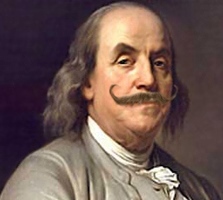 April Fool’s humor has had a long history with American Government, dating back to Founding Father Benjamin Franklin (read caption below). All of these titles in this blog post have records in GPO’s Catalog of U.S. Government Publications, and you might be able to find a copy in your local Federal depository library, or find one at your regional library. Click here for a list of Federal Depository Libraries (the Federal Depository Library Directory or FDLD). Since many of these Government documents —books, posters, pamphlets and PDFs— are older than five years, you might have to search a bit to find a copy. When available, we have provided links for the electronic version of these titles. Below is the list of Top 10 funniest titles that Jennifer provided, along with additional details about each. 1) Gobbledygook has Gotta Go. This Bureau of Land Management title about the problems with Government writing is a classic, and a precursor to the “Plain Language” initiative today to simplify the wording in communications. It has been cited in several collected lists of funny titles, and it’s the only time I cheated and included it in my list anyway. Gobbledygook is just such a great word to say, and the alliteration makes the title even funnier. You can read a scanned copy of this book here. 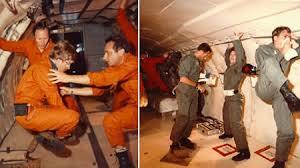 2) Preparedness 101: Zombie Pandemic. All of our GPO office mates agree: this comic has got to be the most fun Federal government document to date. 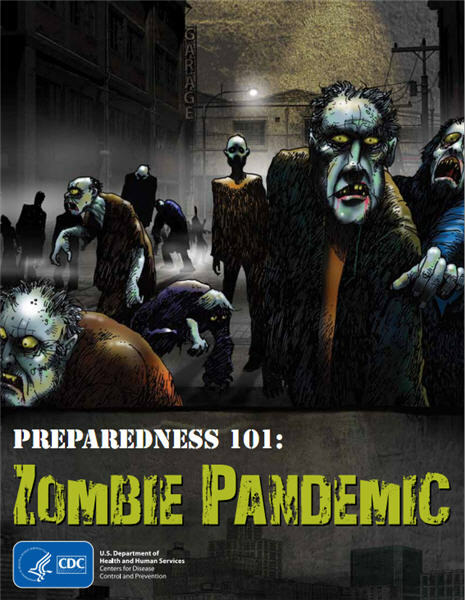 The CDC was smart and exploited the current interest in zombies, and made an emergency preparedness checklist into a comic on preparing for the “zombie pandemic”. In this comic, the scientists of the CDC are the superheroes, isolating the virus “Z5N1” and developing a vaccine in record time, while the locals develop a checklist of emergency supplies so they can stay inside their home. Just the title alone is enough to make you smile—and it gets its point across. You can read the entire publication online here. 3) This is a Dumb Bunny. I love the idea of the Federal government calling someone a “dumb bunny”. Even if the document it is quite literally the image of a rabbit, which spoils some of the fun, I am still tickled by the idea of a snarky Uncle Sam. 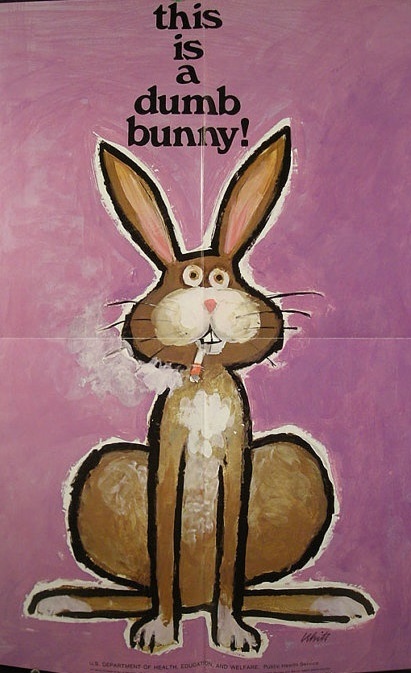 The poster’s actually about smoking cessation. 4) Safety is as Stupid Does!! I know what the goal was with this title. The poster (seen on the University of Iowa Digital Library) makes it clear to the intended audience of military personnel that not thinking hurts safety on the job. However, I think the title missed the mark. It’s funny in its own right. 5) Do Mandrakes Really Scream? A colleague of mine is a huge Harry Potter fan. She said cataloging this title was the pinnacle of her career. It’s the online exhibition catalog of an National Library of Medicine (NLM) History of Medicine exhibit relating NLM’s historical holdings and the magic and medicine of Harry Potter. If you read the Harry Potter series, you’ll know what the title is referring to. If you haven’t read the series, check out this free exhibit first; you might find yourself diving into the book series afterwards. 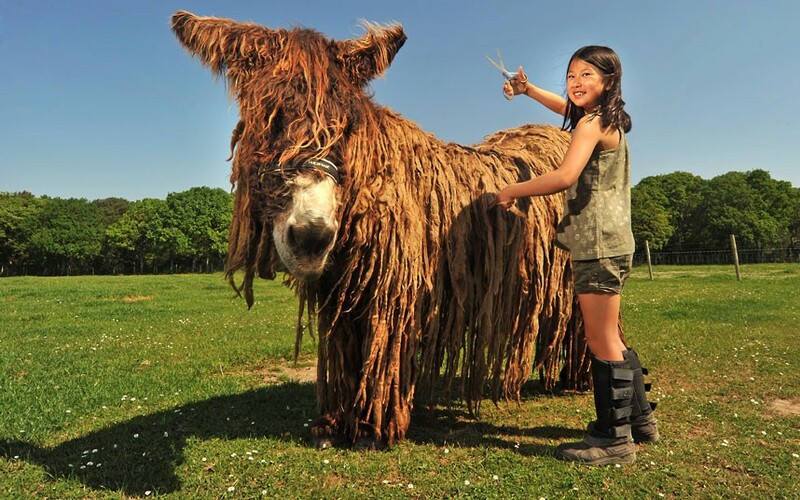 6) USDA Saves French Donkey. The title of this mid-1980s US Department of Agriculture publication just speaks for itself. 7) Self-Motion Perception and Motion Sickness: Final Report for the Project NASA’s report on a motion sickness project makes me want to just… stop… moving! Read about it on NASA’s website. 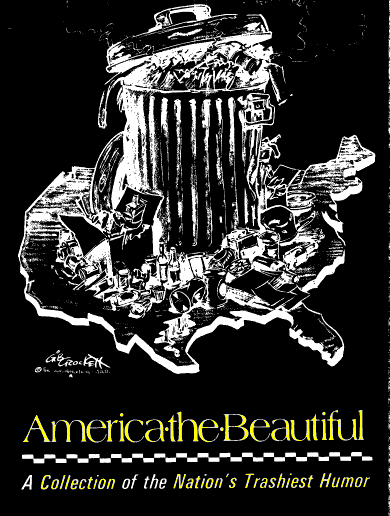 8) America the Beautiful: Collection of the Nation’s Trashiest Humor. Not only is the title funny, but the book’s content promises humor as well. This is publication number 2048 of The U.S. Department of Health, Education, and Welfare, originally published in 1970. The book consists of thirty comics, from the funny pages like B.C., and some from the editorial pages of publications from the New Yorker to the Cleveland Plain Dealer, all focusing on the problem of waste disposal. You can read the publication in its entirety online at the EPA’s website. 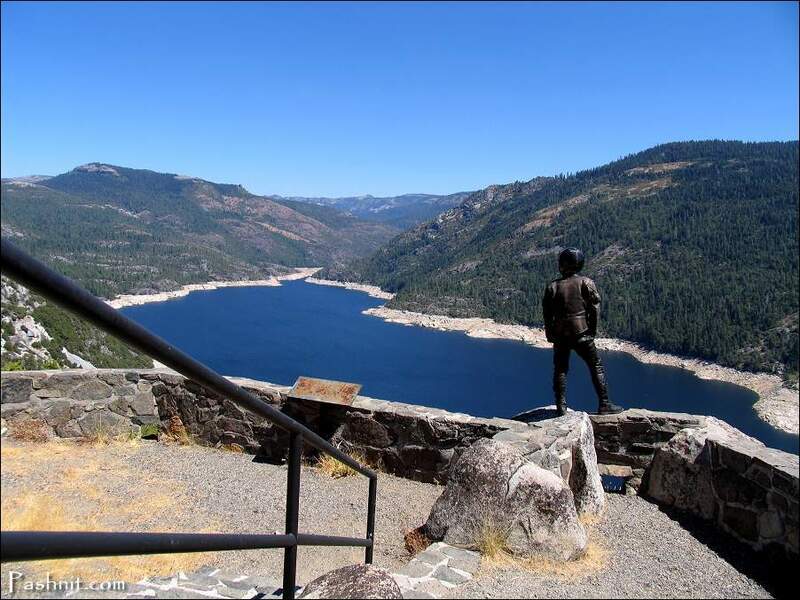 9) French Meadows: Hell Hole Recreation Areas. Although the area is really quite lovely, there’s a problem with image marketing in this U.S. Forest Service tourism brochure. 10) Controlling Vampire Bats. This serious US Agency for International Development publication about controlling the spread of rabies through these creatures nevertheless evokes shades of Tippi Hedren… Don’t you get a mental picture of people running down the street away from the bats, waving their arms over their heads and screaming, à la The Birds? 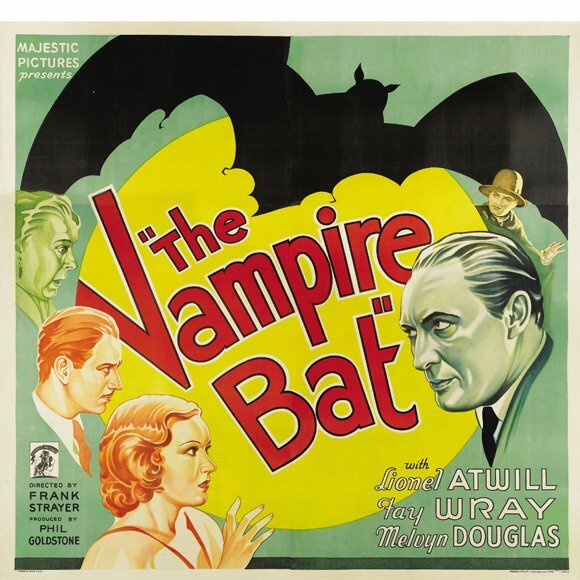 Or Fay Wray being controlled by an evil vampire in bat form in the movie “The Vampire Bat” (movie poster image at the right)? Maybe I’ve read too many zombie comics. How can I find these funny-titled Federal publications? Visit a Federal Depository Library: Search for U.S. Government publications in a nearby Federal depository library. Librarians: You can find the records for most titles in the Catalog of U.S. Government Publications (CGP), or search for published U.S. Government eBooks in GPO’s Federal Depository Library Program’s special eBooks at GPO page. Visit a Public Library: Ask your local public librarian about Federal Government books available to check out as well as Federal eBooks that may be available for library patrons to digitally download through the library’s Overdrive subscription. Order by Phone: You may also Order print editions by calling GPO’s Customer Contact Center Monday through Friday, 8 am to 5:30 pm Eastern (except US Federal holidays). From US and Canada, call toll-free 1.866.512.1800. DC or International customers call +1.202.512.1800. Shop our Retail Store: Buy a copy of any print editions at GPO’s retail bookstore at 710 North Capitol Street NW, Washington, DC 20401, open Monday–Friday, 9 a.m. to 4 p.m., except Federal holidays, Call (202) 512-0132 for information or to arrange in-store pick-up. About the author: Adapted and expanded by Michele Bartram, Government Book Talk Editor and Promotions Manager for GPO’s Publication and Information Sales Division in Washington, DC, from an original post by Jennifer K. Davis, formerly from GPO’s Library Services & Content Management Division that supports the Federal Depository Libraries Program (FDLP). Have a fun and funny April Fool’s Day! This entry was posted on Tuesday, April 1st, 2014 at 12:58 pm and is filed under Bureau of Reclamation, Catalog of Government Publications (CGP), Centers for Disease Control and Prevention (CDC), Children, Consumers, Department of Defense, Department of Health & Human Services, Disasters, Emergency Response, Environmental Protection Agency, Family, Federal Depository Library Program (FDLP), Government Printing Office (GPO), Libraries, Notable Government Documents, Parenting, Teachers and teaching, U.S. Agency for International Development (USAID), U.S. Army, U.S. History. You can follow any responses to this entry through the RSS 2.0 feed. You can leave a response, or trackback from your own site. I laughed a lot guys! Its amazing the things yo can find by following people on twitter. I love the USA but government drives me nuts. You helped me laugh at those trying to govern! Thank You..
Abraham Lincoln, an amazing person, is being presented on KPBS in two new documentaries. One about The Address and the other on his use of technology; electronic messaging. You may be able to view them on line or catch a re-run(great stuff). Thanks for your comment, I had not heard that quote before and am always happy to learn about one of our greatest Presidents. In my country, April Fool’s Day is called April Mop, and many accidents strike down personal or family or communities, like a leader died, car crash then driver and passenger wounded, the school holiday, etc. But, from primary students up to employees are happy to do this, and they are happy, except for nationalist and religiousness……. What a funny federal titles . I love to reading this government book talks and this blog is really funny and interesting . I read the harry potter series and i read with interest about his historical holding and magic . Actually this is excellent presentation about funny federal . Here i enjoying a lot to read this blog . Rob- Thanks so much for writing. Yes, these titles are definitely a lot of fun. I was not familiar with the BEST.TITLES.EVER list. How does one submit to that?